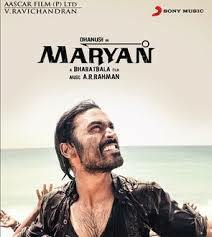 Chennai,July 20 () : Maryan hit the screens on 19th July, 2013 in India and worldwide. It had already set expectations for patrons in both Bollywood and Kollywood with its release in both Hindi and Tamil versions. Directed by famous ad maker Bharatbala, the move stars Dhanush and Parvathy Menon in the leads. Maryan is a gritty tale of survival at adversities through hope, belief and beyond all love. The movie commences with Dhanush (Maryan) confirming his arrival to Panimalar(Parvathy Menon) after two long years of labour contract from Sudan. On his way back from work, he reminisces where and how it all began – Maryan was a fisherman; the king of the ocean, it was his love; his life; his kingdom where he ruled everything in its limit. He recalls in flashback how they fought and later fell in love. It’s a beautiful first half with mesmerizing screenplay and cinematography where director proves he was a real big-time ad maker. With the culmination of first half, Maryan alongside two other Indians are kidnapped by the local African mercenaries on their way back. They hold them captive to claim ransom from their employers; however, they hardly do anything to acquire money. When Maryan realizes the time has come for his ending, he begins his journey with his new-found strength – the long-lost love of his life, Panimalar. Will he escape the mercenaries, if he manages, will he be able to get back home on his own is what forms the rest. One must watch the movie simply to enjoy Dhanush’s performance. Apart from Dhanush there are other national award-winning actors, Salim Kumar and Appukutty roped into this project. Added advantage is the mellifluous music of AR Rahaman. The lyrics of the song Sonapareeya were composed by recently expired multi-talented Vaali. You really don’t need 2 hours for this, could have been well said in 90 minutes – saving us the trouble. Too many unnecessary insertions in the screenplay which simply increases your expectations but in the end disappoints. Salim could have been well utilized and so Uma Riaz, their scenes look very artificial. Director Bharat Bala was one of the jury in 58th National Film Awards where Dhanush bagged the National Film Award for best actor. 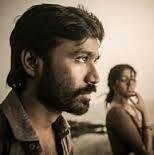 He had approached Dhanush for his movie Maryan moved by his performance in Aadukalam. Who invited Rajapaksa to Sanchi?